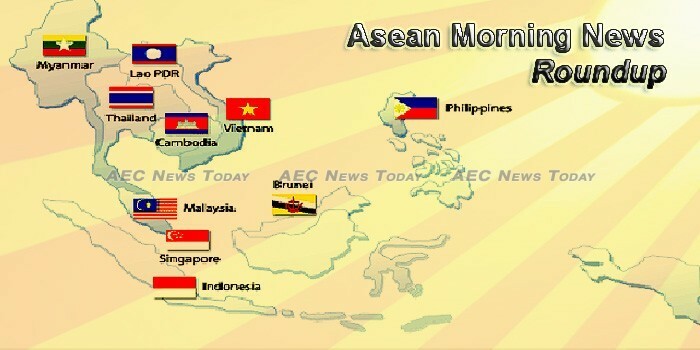 The ASEAN Secretary-General has expressed his readiness to support Thailand to be the ASEAN Chair in 2019 and strengthen cooperation in all levels. The President of Bangkok Bank spoke today at the AEC Business Forum 2018, expressing confidence in the ASEAN economy despite the escalating trade war between the United States and China. The ongoing trade dispute between the United States and China is yielding more opportunities for Thailand and Asean to extend their grip on international trade, said Matthew Pottinger, an adviser to the Asia desk of the National Security Council (NSC). ASIA’S rankings fell in the IMD World Digital Competitiveness Rankings 2018, while the US, Canada and Europe made it to the top ten list. Keep out the warships and instead have joint small-boat patrols – that is Malaysian Prime Minister Mahathir Mohamad’s prescription for maintaining peace in the disputed and resource-rich South China Sea. The summits provide an opportunity for leaders to forge relationships, sort out differences and progress shared interests. Southeast Asia is now the new battleground for the food delivery industry with regional ride-hailing rivals Go-Jek and Grab driving into the space with a hearty appetite. French businesses are looking to promote their technology and products in the Association of Southeast Asian Nations (ASEAN), aiming to raising France’s competitiveness in a region until now dominated by goods from Japan, the Republic of Korea and China. Import prices for steel prices in Southeast Asia were unchanged over the past week amid thin trading, while those for slab in wider region including East Asia declined slightly on soft demand. The analysts forecast the Data Center Construction Market in Southeast Asia to grow at a CAGR of 8.17% during the period 2018-2022. THE American Chamber of Commerce in Singapore (AmCham Singapore) has called on the United States to join the trade pact which has replaced the Trans-Pacific Partnership (TPP), from which the US withdrew in January 2017. Southeast Asian online shoppers are leading the world when it comes to spending on shopping apps, according to research by tech company Criteo. The Australian government has been buoyed by growing interest in thermal coal from Southeast Asian countries, saying the increased demand demonstrated how bright the future was for Australian coal. Cambodia’s ruling party, the Cambodian People’s Party (CPP) threatened legal action against a campaign started by opposition members which called for voters to boycott a national election slated to take place in July. The ‘clean finger’ campaign represents a last-ditch effort by the now dissolved opposition party that has slammed the upcoming elections as a sham. China has pledged to give Cambodia an additional $100 million in military aid following a visit to the country this week by Chinese Defense Minister Wei Fenghe. Indonesia’s central bank said on Tuesday it is ready to respond to the US Federal Reserve’s interest rate hike with policies that could include raising its own interest rates again and easing mortgage rules. The Indonesian Solidarity Party (PSI), a new participant in Indonesia’s electoral landscape set to contest the 2019 national election, is grabbing the attention of Indonesian political watchers. India has initiated an antidumping probe into import of a chemical – used in food, beverages and pharma industry – from Indonesia. Prime Minister Thongloun Sisoulith has reaffirmed that regional connectivity will be realised after the completion of railways linking China to Asean member nations. Vietnamese Vice President Dang Thi Ngoc Thinh arrived in Vientiane on Tuesday for a four-day visit to the Lao PDR in response to the invitation of her host counterpart Phankham Viphavanh. The duties and structure of the Bank of the Lao PDR’s executive board were at the centre of debate at the National Assembly (NA) yesterday, with the aim of strengthening the bank’s management and preventing illegal financial activities. For years, former prime minister Najib Razak denied any wrongdoing in the 1MDB embezzlement case which involved the misappropriation of billions of taxpayer dollars. Malaysia could extend new tax incentives for foreign investment in areas such as technology if companies promise to create better-paid jobs for Malaysians, Prime Minister Mahathir Mohamad said on Tuesday. At the opening of the Myanmar Tourism Conference, Vice President U Henry Van Thio addressed those in attendance. Myanmar’s parliament voted down a proposal to give the death penalty to convicted child rapists, the state-run Global New Light of Myanmar reported today. As part of an ongoing programme to improve labour conditions in the garment industry, a European multi-stakeholder initiative has started a research project on living wages in Myanmar. The country’s overall balance of payments (BOP) position incurred a deficit of $2.08 billion in the first five months, a dramatic rise from only $706 million in the same period last year, due in part to the rapid rise in merchandise trade deficit brought about by the sustained rise in imports of raw materials and capital goods, the Bangko Sentral ng Pilipinas (BSP) reported yesterday. The Philippines dropped 10 notches to 56th out of 63 countries in the 2018 World Digital Competitiveness Ranking based on a report released by the International Institute for Management Development, with the AIM Rizalino S. Navarro Policy Center for Competitiveness as its Philippine country partner. Online hiring in the Philippines has increased by 14 percent in March on the back of the economy’s expansion and investors’ positive outlook on the country’s macroeconomic fundamentals, data released by online jobs portal Monster.com showed Tuesday. Singapore lost the top spot and dropped to second place in a digital competitiveness ranking of 63 economies, pipped by the United States in a move up from third place last year. Last month, the Asia Sentinel reported that the US Treasury Department has initiated a wide-ranging campaign against money laundering particularly targeting the governments in Cyprus, Beirut, Singapore and the Gulf states (‘US Mounts Major Global Anti-Money-Laundering Campaign’, 31 May). Civil servants in Singapore will receive a 0.5-month mid-year bonus and a one-off payment of at least S$300, the Public Service Division (PSD) said on Tuesday (Jun 19). Protests by thousands of people in cities across Vietnam are showing just how easy it is to unite public opinion and mobilize dissent when an issue has one key ingredient: China. Catholics have been caught up in a police crackdown aimed at suppressing opposition to a proposed special economic development plan and the approval of a controversial cybersecurity law. The Vietnam Chamber of Commerrce & Industry (VCCI) and experts have warned that minimum limits on petroleum imports to be allocated by the Ministry of Industry and Trade (MOIT) may kill small businesses, leaving space for the market to be captured by big importers.